One of the suspects who allegedly orchestrated the carjacking and kidnapping is a relative of the victims whilst another is a close family friend. Four alleged Newcastle child kidnappers appeared in the Madadeni Magistrate’s Court today for carjacking, kidnapping and possession of an unlicensed firearm, KwaZulu-Natal police said. Spokesperson Colonel Thembeka Mbhele said a joint operation yesterday led to three children that were kidnapped in the morning being rescued. 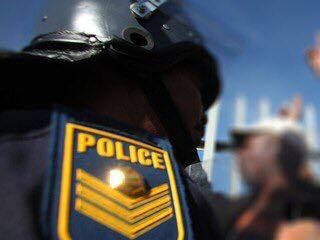 “The team proceeded to a house at Inverness place in Osizweni where three children were kept hostage by the suspects. Zamani Richard Ndlovu, 32; Thamisaqa Sithebe, 25; Sabatha Zulu, 22; and Segundo Xulu, 24, were arrested,” said Mbhele. Mbhele said the complainant was driving his uncle’s vehicle at Madadeni, Section 7 when unknown men waved at him and indicated that something was wrong with the vehicle’s tyre. The complainant was travelling with six children in the vehicle. When the driver pulled over at Qaphelani school to inspect the tyres of the vehicle, he was confronted by the suspects who threatened him with firearms. The driver was pulled out of the vehicle and the suspects fled in his vehicle with three children still inside. The suspects were remanded in custody until May 29 for legal aid and the hijacked vehicle was recovered at Osizweni, C section.